The Neath canal, authorised under the Neath canal acts of 1791 & 1798, is a typical narrow Welsh valley canal, running from Briton Ferry on the estuary of the river Neath to Glynneath, a small town at the head of the picturesque Neath valley. 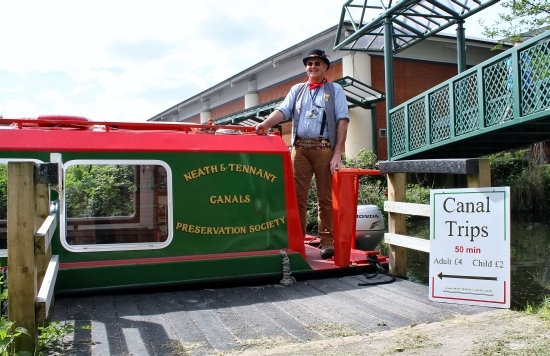 The canal is 13 miles long and has a rise of 180ft through19 locks, the canal is still owned by the company of proprietors of the Neath canal navigation, the company originally set up under the acts to build the canal. 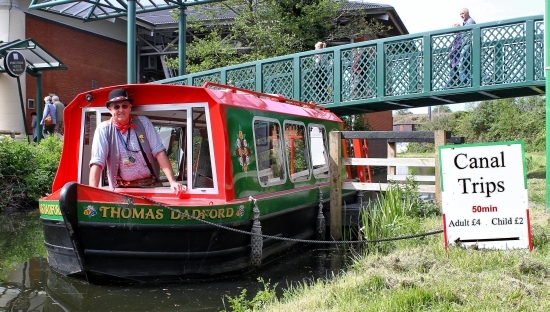 Last week I went aboard the “Thomas Dadford” for the trip to Tonna lock, the weather was more like autumn than summer, but never the less I enjoyed the ride, which was quite, relaxing, and admiring the superb scenery on route immensely, I would recommend this trip for all ages. This week, thankfully in better weather we see the bargee dressed in 19th century costume. 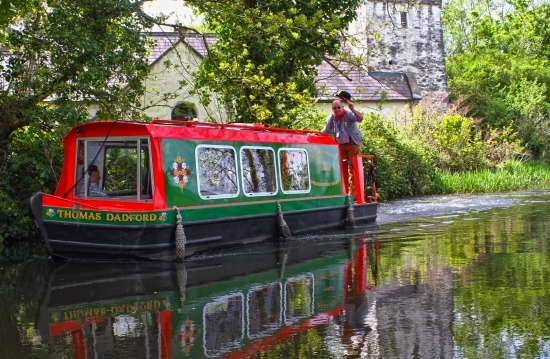 The barge is steered through the picturesque Neath canal, where you will pass Llantwit church which stands on the site of the "cell" where St. Illtyd is said to have located in the 6th Century. It is a good example of a Norman aisle-less church and the two-decker pulpit is the only one of its kind in the Llandaff Diocese and possibly in Wales. up until Elizabethan times it was the Parish Church of Neath. Llywarch ap Iestyn was drowned in the font of the Church of Illtud where he was taken for baptism; Rhys ap Tewdwr`s men having come upon them, the Abbot who was baptising him ran away leaving Llewarch in the font, and the child was drowned. This is the view from the East Bank of the Neath River. The Towpath of the Neath Canal can be seen in the foreground. at this point the river is still tidal and the salt marsh floods at very high tides. The Church of St. Catwg Cadoxton is due West from here and can be seen on the opposite side of the valley. 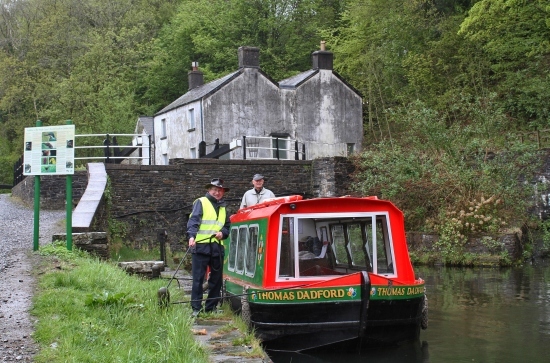 The boat operates public trips, starting from alongside B&Q store in Neath town centre, travelling toward Tonna & passing some interesting sites such as the remains of the Neath castle, the restored Friends meeting house, Neath union workhouse,Llantwit church, and the Tonna workshop.